In almost 25 years in the mining industry, Pierre Malan admits getting the Dugald River mine ready for production has been among the most challenging, but also satisfying, tasks he has faced. 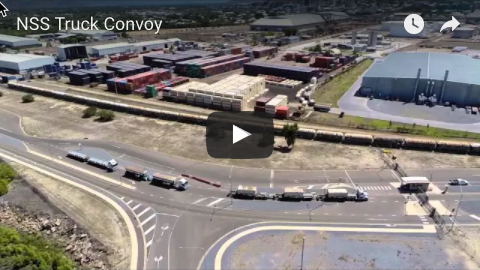 The 44-year-old South African-born mining engineer has been MMG’s general manager project delivery at the mine since 2015, overseeing up to 100 MMG employees and 450 contractors in a long journey which will see the first shipment of zinc concentrate leave the port of Townsville by the end of this year. Splitting his time between MMG’s Melbourne headquarters and the mine, 65km north-west of Cloncurry, Mr Malan has had the sometimes daunting task of leading the project team from inception in establishing a fully fledged zinc operation. 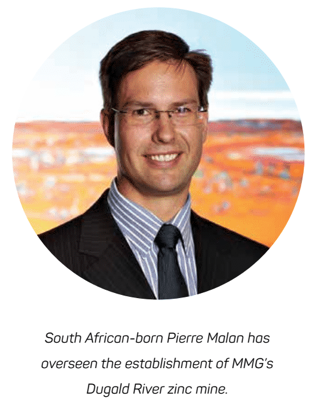 “It has certainly been an interesting role,” said Mr Malan, who entered the mining industry after graduating with a degree in mining engineering from the University of Pretoria in 1994. 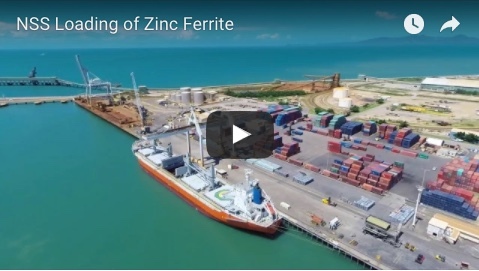 “Essentially, my role has been to oversee the construction team and operations team to build an operation that will eventually mine and process 1.7Mtpa zinc ore through underground mining and export about 450,000 tonnes of concentrate through Townsville. Mr Malan is particularly proud of the effort put in by everyone associated with the project to reduce costs during a period when the price of zinc gave little long-term cause for optimism. “In January 2016 the price of zinc was around 66c per pound and we needed loan fi nance to get the project up and running,” he recalls. ““We worked extremely hard to reduce capital costs, to the extent that as of today we anticipate a total project cost of between $US550 and $US570 million (for development completed from August 2015), well down on a projected cost of about $US750 million in 2015. As for the future, the married father of two has much more to achieve at Dugald River and hopes to continue working for an organisation he believes will only get bigger. “I’m always looking at ways we can improve the way we do things at Dugald River, so that’s a big focus,” Mr Malan said. “As for the future, I’ve hopefully got another 20 years of work left and I’m looking forward to continuing to work with MMG.